The use of lists and labels to manage your move helps to keep everything organized and minimizes headaches down the road. Creating inventory lists and proper box labeling techniques is one of the best moving strategies to make your move run more smoothly and unpacking at your new home a lot easier. Add some color to your moving strategies by labeling boxes using colored stickers to indicate the destination room in new home. Easy visibility of colored stickers and where the box should go will save your movers time, translating into savings on cost for you. Content category might be helpful, but not necessary; boxes should be coordinated with an inventory list and will be given a number in addition to a color. There are many ways to form an inventory list to implement into moving strategies, but ultimately a list of all your belongings is just that, a list of everything you own. 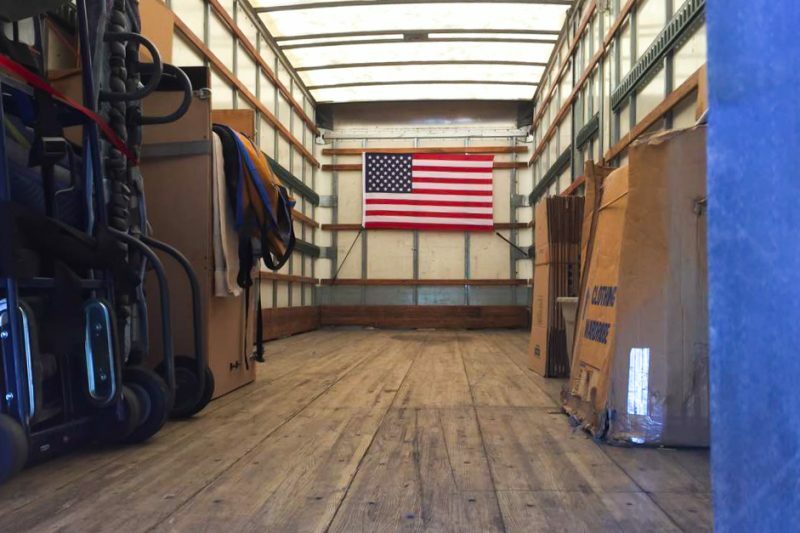 Although this is useful knowledge to have, during a move it does little to help manage the move from one location to a new location. 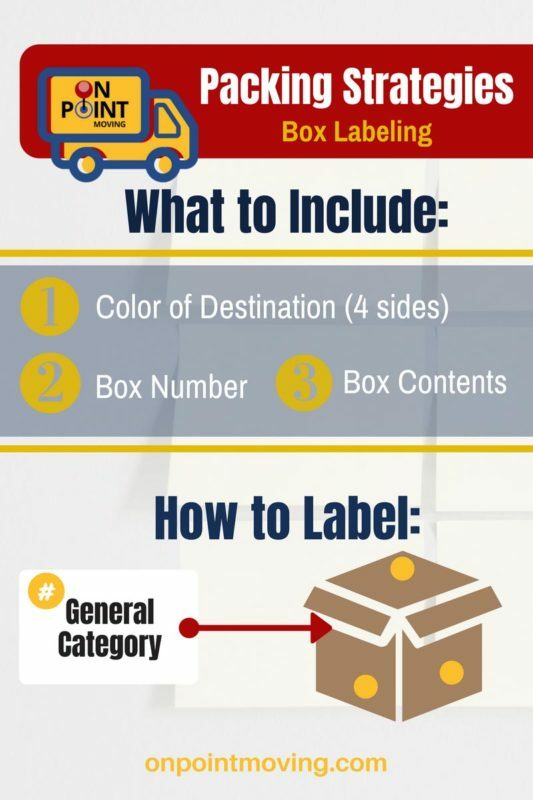 Coordinating your list with labels on your boxes helps you track what is in each box and eliminates the need to write the specific contents on each box. This information will become useful in the case of an insurance claim that may need to be filed. Box inventories are helpful during a move and should be incorporated into moving strategies as they help to eliminate the need to list contents of boxes in plain view. They also help track where items are when you begin the unpacking process. Additionally, if boxes go missing, you know exactly what was in the missing box. Formulating moving strategies that work best take a little bit of trial and error, but there are a few tips that we think will work for everyone that is planning to move. Labeling a box as “fragile” helps the movers handle your items with more care, but it is not a pass for you, as the packer, to fill moving boxes haphazardly. Make sure to pack your boxes properly before your movers arrive. You can’t expect items to be moved with care if they were not packed with care in the first place. Each member of the household should pack a box and label it “open first”. This box will contain all the items you will need on your first night at your new location. When you don’t have to rifle through boxes to find your sleepwear or toiletries, it makes the experience of moving more enjoyable.